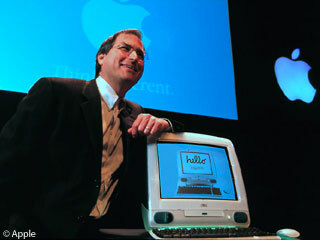 From the day of his appointment as Apple CEO in February 1996, Gil Amelio presided over an ailing company. After the near-disastrous reign of Michael Spindler, Amelio promised to change the corporate ethos of Apple. In a companywide email, Amelio said, “I will take the blame when things go wrong – and give you the credit when things go right.” This was in stark contrast to many earlier Apple executives who attributed poor performance to the company’s engineers. Amelio also implemented massive budget costs, which succeeded in giving the company its first profit in years. Despite being profitable, the cost cutting measures had a negative effect on Apple’s already plummeting market share. Revenues for the 1996 fiscal year had dropped by 15% while the rest of the personal computer industry had increased by 18%. Amelio and the rest of his senior staff began searching for a way out. They needed a new operating system to buoy their attempts to compete with the Wintel juggernaut. The same search had taken place several times before, but now the company was desperate. License Windows NT from Microsoft and bolt a Mac-like interface onto it. License Solaris from Sun and bolt a Mac-like interface onto it. Narrow the focus of the flagging Copland project and release it in a year and a half. Acquire Be and use BeOS. Acquire NeXT and use OpenStep. On the advice of Ellen Hancock, Apple’s CTO, Amelio decided to drop all the licensing options, because Apple would have only limited control over the software. Apple had already made and broken many promises about Copland (right), so it was also eliminated, leaving Be and NeXT. Hancock was tapped to lead a team of engineers and executives to assess BeOS and NeXTstep. The obvious choice for Apple was Be. Founded by former Apple COO Jean Louis Gassée and Steve Sakoman, the founder of the Newton project, Be was ten years old and had created BeOS, a microkernel based operating system. The company already had its operating system running on Macs, and BeOS was lauded in many Mac circles for its speed and user interface. BeOS was only in beta form, though. By Gassée’s own estimates, it would take years to complete BeOS to a point where it would be ready for the mass market. Talks quickly broke down. Gassée wanted for $300 million for Be, even though Be was worth only a tenth of that. Amelio, always frugal, was not going to opt for an overvalued valued company with an unfinished operating system. Hancock’s team now focused on NeXT, which hadn’t really been considered. Steve Jobs, who had often expressed his interest in returning to Apple, sent two of his marketing executives to pitch the idea of a NeXT-based Mac OS. Jobs had founded NeXT in 1985, using money from the divestment of all of his Apple stock ($135 million worth) to fund the new venture. With all links to Apple severed, Jobs hired several former Apple engineers (and the famous Avie Tevanian) and began work on an object oriented personal computer operating system that would be able to compete with MS-DOS and the Mac OS. Apple quickly intervened, threatening to sue the company because of its use of Apple engineers and intellectual property. Apple agreed to settle if NeXT agreed not to compete with any Apple product, forcing NeXT into the competitive workstation market. 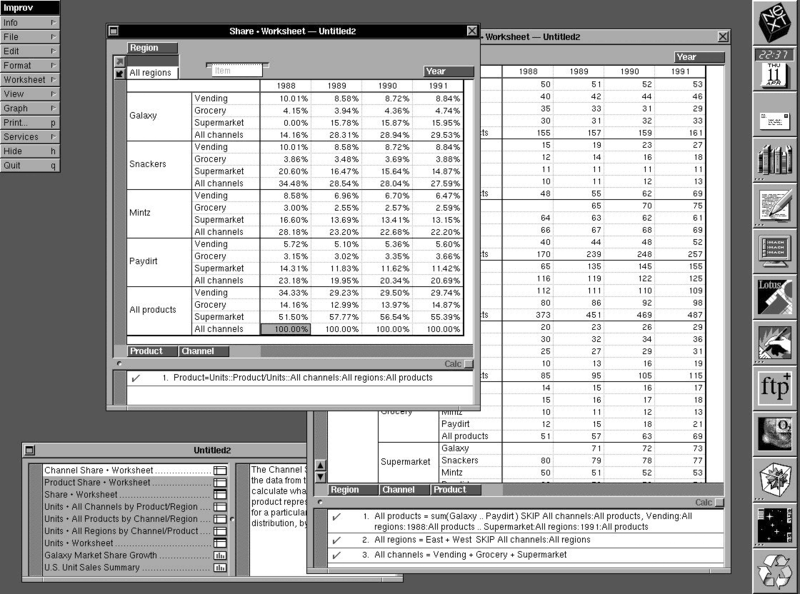 NeXTstep was admired by all in the computer industry. Jobs delivered an experience described as “more Mac than the Mac”. NeXTstep used a highly intuitive interface on top of an advanced operating system based on a microkernel. 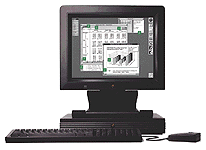 NeXTstep’s biggest claim to fame was its object oriented programming environment. It was very easy for programmers to reuse snippets of code in different programs, making it much easier to create sophisticated, feature rich programs, because they did not have to recreate every feature they wanted. Despite the clout NeXT enjoyed in the computer industry, it was never able to pierce the workstation market that Sun had dominated for almost a decade. In 1994, after selling 50,000 computers, NeXT discontinued all hardware and focused on software. Ironically, NeXT’s first partner was it fiercest competitor in the workstation market, Sun. Sun wanted to create an object oriented programming environment for use in its Solaris operating system. NeXT stripped NeXTstep of its kernel and rewrote it to work on top of Solaris. The new product was called OpenStep. Sun quickly abandoned it in lieu of Java, but other companies were interested. 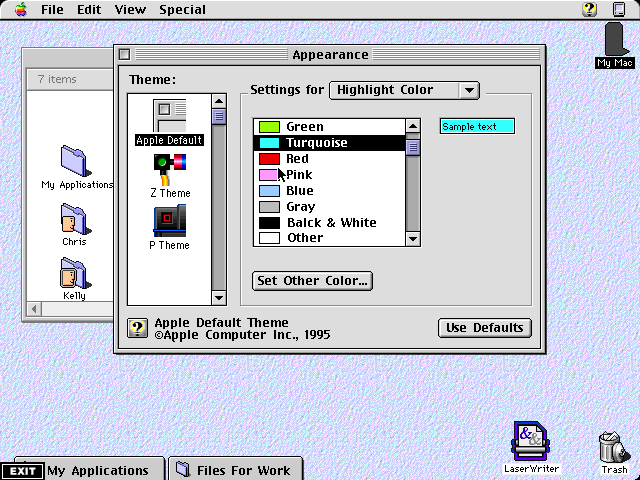 NeXT ported OpenStep to several other platforms, including Windows. It was rumored that a Mac version was also in the works. The other component of NeXT’s software strategy was WebObjects. Essentially OpenStep for the network, WebObjects was an object oriented programming environment that operated over the Internet. WebObjects sold very well. It powered the Dell website, automated factories, and was used extensively by the federal government. Apple was attracted to NeXT because it had a finished product and was fairly successful in the same markets Apple wanted to enter. Talks began on December 2, 1996 with a meeting between Amelio and Jobs. The two men clicked and quickly agreed to a tentative plan that would be finalized in the coming months. Apple would acquire NeXT for $430 million, and its engineers would port OpenStep to the PowerPC and make it backwards compatible with the existing Mac OS. The merger was announced to the public on January 7, 1997. Macworld Expo San Francisco was the next public event for Apple after the merger announcement, and the company was going to take the opportunity to lay out Apple’s operating system plans. The day of the keynote speech by Gil Amelio, four thousand packed the hall to capacity and an overflow room had to be opened up. Apple had spent months preparing for the event and hoped that it would improve confidence in the company, especially after disappointing sales figures were released. Amelio almost failed. He had refused to rehearse his speech, even at the urging of the event organizers. As a result, he was unprepared and frequently went off subject – or just stopped altogether. He went two hours over his allotted time, inadvertently canceling several presentations, including one by Muhammad Ali. Amelio managed to redeem himself in the eyes of some of his audience because of two special guest speakers. First, Steve Jobs spoke about NeXT and Apple, and he gave a concise and impressive demo of some of OpenStep’s most vaunted features. The second was Apple’s other founder, Steve Wozniak, who had become a fifth grade teacher in California. The two both received standing ovations. Amelio’s performance failed to impress third party developers and investors. Nothing new had been revealed about Apple’s operating system strategy. Apple’s stock dropped almost 40¢ the next trading day. Amelio became an object of ridicule in the computer industry because of his “Gilathon” speech. After the speech, Amelio demoted Hancock, a person highly respected by ordinary employees. She was moved to the research and development division, insuring that she would have minimal impact on Apple’s everyday operations. Weeks before the keynote, she had offended Steve Jobs, insisting that Apple should use nuKernel, the microkernel developed for Copland, instead of NeXT’s kernel, Mach. The office of CTO was eliminated and replaced by two new positions that were filled by Jobs loyalists. The new head of software at Apple was Avie Tevanian, who had designed the Mach microkernel while he was at Carnegie Mellon. The head of hardware was now Jon Rubenstein, who had held the same position at NeXT. This all occurred during Apple’s worst quarter ever. Because of the $30 million NeXT acquisition and subsequent reorganization, Apple had lost in excess of $700 million in that quarter alone. Whatever goodwill Amelio might have had when he took the reins from Michael Spindler a year earlier was now gone. Apple’s senior executives – many of whom had been chosen by Amelio himself -were leaving. Of the 47 who were there when Amelio became CEO in 1996, 29 had left by March of 1997. 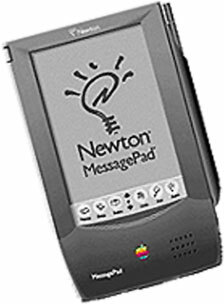 In 1996, several executives told him to cut the Newton: It had never turned a profit and was a major drain on more successful products. Ignoring their advice (and also several offers to buy the division outright), Gil Amelio took a tentative step in the spring and created a separate Newton unit. Apple was in pitiful shape, and its stock closed at $16.75 on March 26, a 10-year low. Jobs was about to seize control from the flagging Amelio in a dramatic coup. The first indication of his intentions came from his close friend, Larry Ellison. Ellison founded database developer Oracle in 1977 and had become enormously wealthy because of it. He was the third wealthiest person in the world (second only to Bill Gates and Paul Allen, both tied to Microsoft). In an interview with the San Jose Mercury News on March 27, he announced his intention to join with several outside investors and buy Apple. He said he would then install Jobs as the new CEO. After the initial excitement cooled, Apple stockholders lost interest. Ellison’s offer would was tied to the stock price, which was undervalued. As a result, Ellison’s offer of $2.1 billion was not even close to Apple’s estimated value. Even if his offer had been in line with Apple’s true value, Ellison proposed that Apple be transformed into a supplier of network computers, a totally untested market. Network computers were Ellison’s vision of the future. Personal computers were too expensive and powerful for most users’ needs. A network computer would offer most of the same features, but it would pull its software from a remote server, operating as a thin client. Most analysts discounted the idea because of the lack of any networks fast enough to support the software most users would want to run. Ellison’s proposal enraged many Mac faithful. The computer “for the rest of us” would turn into a computer for offices with Oracle servers and high speed networks. Ellison announced defeat on April 29, but Amelio was far from secure. The board at Apple was changing. Steve Jobs was already a member, and several longtime members had been asked to leave or did of their on volition. Mike Markkula, the man who had provided the money for Apple in the late 70s and served as its first CEO, was asked to step down by Jobs. In two months, there was almost a total turnover in the boardroom. “It’s made up primarily of close friends of Steve’s for decades,” claimed Gil Amelio in an interview with Business Week. Jobs now had the power to boot Amelio. 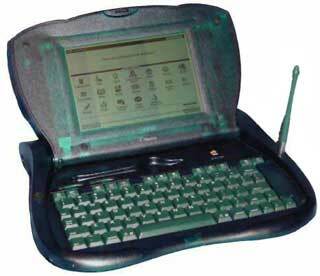 A major example cited by an Apple employee on a newsgroup was a specialized PowerBook meant for salespeople. The device had a detachable screen that could be handed to a client and controlled wirelessly from the keyboard and trackpad. Beyond the technical flaws present in the computer (it would tip over if used in a laptop configuration), it had no market. It was ready to be released, but Steve Jobs canceled the project immediately after he heard of it – without Amelio’s authorization. With heavy pressure from the board, Gil Amelio handed in his letter of resignation on July 9. He had been CEO for only 18 months but had a major impact on Apple. He had cut costs dramatically and had given Apple the capital it needed to acquire NeXT. He had also insisted on an exorbitant compensation deal, getting paid $7 million after his resignation. Fred Anderson, the CFO Amelio had hired at the beginning of his reign at Apple, was given day to day control of the company, and Steve Jobs was the head of a search committee to find a new CEO. After interviewing a number of candidates, Steve was given the title Interim CEO (iCEO) and was now in full control of the company he helped found in the mid 70s. The very first thing he did was move into a very small office adjacent to the board room (Gil Amelio still used the CEO office) and have a NeXTstation computer installed. Not until Mac OS X was released as a public beta did Jobs use a Mac as his personal machine. Steve continued the cost cutting measure Amelio had implemented. 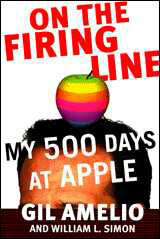 During a period of less than three weeks, he audited every project at Apple. He called project leaders to the boardroom one by one and asked them to defend their continued existence. In short order he reduced the number of active R&D projects from 350 to less than 15. He also made major changes in the marketing department. 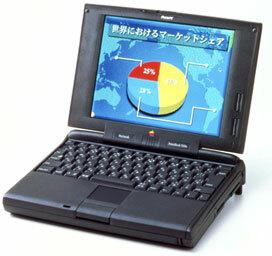 The last major marketing campaign Apple had embarked on were movie tie-ins with Independence Day and Mission: Impossible for the PowerBook 5300c. The movies were both wildly popular, but the ads weren’t. Consumers were wary of Apple’s unreliable hardware and shied away from the computer. The public got its first hints at the changes Jobs was making in the company on February 27, 1998. In the midst of the performance reviews taking place across the company, Jobs found out that over $1 billion had been spent on the development of the Newton over its ten years in existence, a staggering amount. If Apple had simply canceled Newton in 1988, one year after Steve Sakoman had initiated the project, Apple would have had enough money to remain profitable through the 90s. It would have made up for Michael Spindler’s incompetent inventory stuffing. Apple would have been healthy and relatively free of the icy PR that it was now subject to. The managers of the Newton subsidiary argued that Apple still had an opportunity to get a return on its investment. Sales of the very capable MessagePad 2100 and eMate 300 (left) were very good and growing. The late 90s were the boom days of the PDA market, and the Newton was party to that success, even as low-end devices like US Robotics’ Palm Pilot and Microsoft’s Palm PC fought for dominance. If Gil Amelio or somebody without Jobs’ personal history were running Apple, perhaps there would have been a different conclusion to the story – but they weren’t, and there isn’t. John Sculley had neutered Jobs at Apple in 1985 by taking all leadership roles away from Jobs and rallying the board to his cause. After Jobs left Apple, NeXT was always being compared (negatively) to Apple and its meteoric rise in the late 80s and early 90s. Newton had been Sculley’s baby. He believed that Newton sales would supplant Mac sales as Apple’s bread and butter. Ultimately, the development team overspent and missed too many deadlines, and this contributed to Sculley’s ouster. Sculley’s last official act as Apple CEO was to preside over the release of the Newton during Boston’s Macworld Expo in 1993. 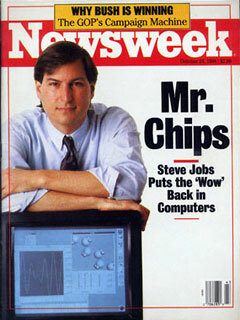 Jobs ordered that the Newton subsidiary be folded back into Apple and killed. Existing inventory would be sold off and existing service contracts would be honored, but no new devices would ever be released. The Australian government had only weeks earlier put in an order for thousands of eMate 300s, which were to replace aging 8-bit microcomputers in its schools, but inventory was not sufficient to fulfill their order, and it was canceled, depriving Newton of it’s final hurrah. In a press release, Apple promised to provide support for units still in the wild and that there would be a Mac OS replacement for the Newton. Most observers believed that meant a Mac OS tablet, but the iBook was released instead, which cost over $500 more than the top of the line MessagePad 2100 and $1,000 more than the eMate 300. Jobs immediately discontinued movie tie-ins and had Chiat/Day create a brand new slogan and campaign. Lee Chow, the executive for the Apple account at Chiat/Day, presented “Think Different” to Jobs. The slogan gave Apple a rebel’s persona, like that of Power Computing and its lithograph-style ads. Amelio had enacted several network computer projects during the Ellison acquisition period, but they had made little progress. Jobs, eager to demonstrate his independence from Ellison (who had been appointed to Apple’s board of directors), initiated the Internet Macintosh project. The primary difference between the Internet Macintosh and Power Macintosh was the Internet Macintosh’s ability to load its operating system from a remote server. Jonathan Ive, the head of industrial design at Apple, had created a sleek, translucent, all-in-one case design. The fate of the design was uncertain during Amelio’s reign at Apple, but Jobs adopted it wholeheartedly during his audit of the industrial design department. He chose it as case for the Internet Macintosh, which was renamed iMac shortly before the computer’s launch. The iMac was announced in May 1998, released on August 15, and immediately became the best selling computer in the entire industry. It helped propel Apple into long-term profitability and cemented Jobs’ position. Later that year, Jobs announced that he would become Apple’s permanent CEO.